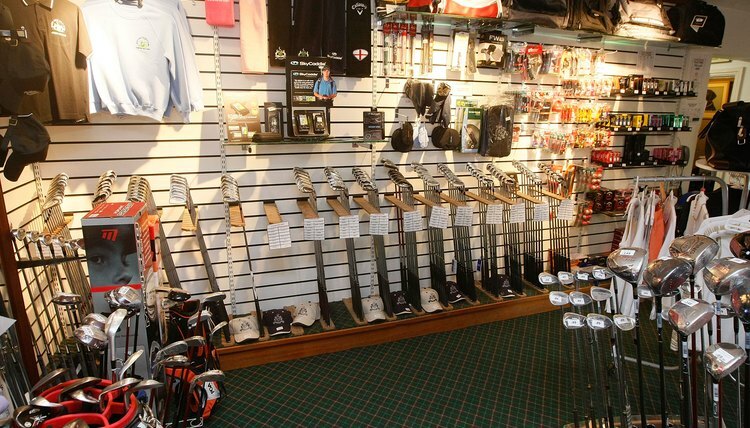 Amassing a club collection can get costly, so choose wisely. Having money to burn is not a good reason to pay a lot of it for your golf clubs. Besides, a set costing an arm and a leg isn't necessarily going to turn you into the next Tiger Woods. Because there are hundreds of sets from which to choose, you need to consider a number of factors before you buy. Here are some of the things you should think about. Stay with a less expensive set of clubs if you expect to play only a few times each year. If you only see yourself playing at the company outing, or when you are occasionally invited to play at someone's course, you don't need to spend a lot of money on a new set. And if you are new to the game and may “catch the bug” later, you can always trade in your cheaper set for a more expensive one later. Ask your friends who are golfers how you should go about making a choice. Or go to a pro shop and ask the people there for advice. Narrow your list of possibilities and check out the costs of clubs at pro shops and sports stores. Also, go online. Many websites offer new and used clubs for sale. Go to eBay to find new and used clubs that are being auctioned at discount prices. If you are a beginning golfer, don't overlook buying a half set of matching clubs. Half sets ordinarily include five irons, namely a 4, 6 and 8, a pitching wedge and a sand wedge. Rounding out the half set are a 3 and a 5 wood and a putter. Half sets don't include the long irons and driver because they are difficult for a beginner to hit. “Try before you buy” your golf clubs. Try finding a dealer who is willing to let you try different clubs to see if they are what you want Much of your success will be based on both the look and the performance of the clubs. For example, avoid forged blades in favor of perimeter weighted ones because they will allow you to miss-hit a shot without consequences. Also, if you can find clubs with graphite shafts rather than steel, they will cut down on the vibration when you hit a bad shot.